Through the years Internet was born, web designing has witnessed several attractive trends. From ordinary web pages to innovative imagery, the world of web design has come a long way. Technological advancements have made it all the more imperative for web designers to be aligned with the current trends and technicalities. While 2017 was all about inclusion of rich media elements on the websites, 2018 is expected to be more exciting for web designers. As we get ready for 2018 to unfold, let us have a look at how the web design will turn out to be in the coming days. Web designers should give more importance to clean and simple website layout with interesting typography that will allow them to showcase their new ideas. 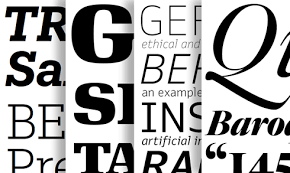 Nowadays, businesses are ready to spend extravagantly for their own exclusive fonts. Fonts have the power to teleport you to another world and you would unknowingly associate it with particular things. Let’s say for example- Gothic fonts take you to the world of history, churches and antique literature. Fortune 500 companies mainly use modern typography and depicts style. Minimalistic design that eases navigation and user experience will be trending in 2018 as responsiveness is gaining more impetus. 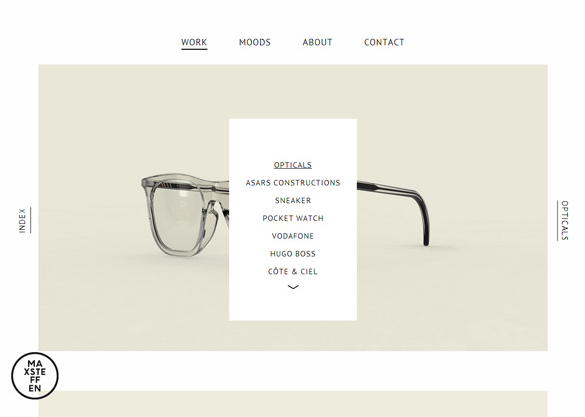 Flat design implies minimalism and it makes use of vibrant colors, white space and clutter-free layout. It ensures short loading time and a pleasant user interface for quick browsing. There was a time when animations were considered to be gaudy. Nowadays, however, web browsers have started supporting animations quite well. Sophisticated animations that deliver value to the user will make the company logo more memorable. If done right, they will convey the brand story in an effective way. You can even instill an emotional appeal in addition to delighting the visitors with the visual effects. Scroll-triggered animations are the best idea to prompt users to take the next action. Web designers should create smooth transitions that will keep the visitors hooked to the website and get them more interested in your business. The scrolling mechanic of parallax is also getting more and more popular as it imparts a 3D effect with a faster scrolling foreground. It makes the screen elements catchier. You can check atlassian site which have design accordingly. Almost all companies are considering the use of videos on their website. It makes the browsing experience more immersive for the website visitors. It looks expensive at the first thought, but several apps and software programs have made it easy to create virtual reality videos for websites. Security will be of utmost importance for web designers. As hackers and cyber criminals are on the rise, displaying trust badges with attractive design & proper placement (if website is using any security related solution ) on the web page to improve customers’ confidence will become all the more important. In the recent times, most of the websites are using best security measure Comodo SSL certificates that ensure that no data breach takes place and customer information does not get shared with any unauthorized sources. Websites will rely heavily on chatbots who have got smart because of machine learning and artificial intelligence. As a result, web interactions are believed to get automated and optimized. Customer support will get faster owing to these new technologies and web design will get even more seamless for the customers. Users will be able to communicate with the computers vocally. Some of the prominent voice user interfaces are Alexan, Cortana, and Siri. A combination of machine learning and voice user interface will be able to predict what you require even before the completion of your command. Websites in 2018 might have voice user interfaces of their own or integrated with the existing ones. You can learn more about Voice User interface from wiki page. Seamless interactions to enhance communication will be the web design thing in 2018. Users would be able to review your products and services by simply scrolling over the stars rather than filling up a form. 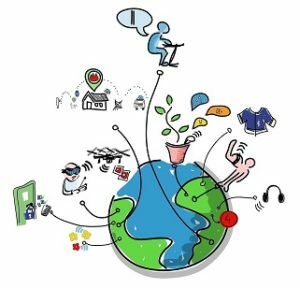 In simple words, Internet of Things is connecting devices and Internet. It will enter all walks of life including web designing and email designing as well. On account of this technology, websites will become smarter. A seasoned web designer will help you create a simple interface despite the complicated backend. If I give a real life example of Internet of things then take a amazon product Amazon Echo which you can use to Call or message anyone hands-free with your Echo device and many more. With the advancement of the technology now there are platforms that allow anybody even without technical skills to create a website. There are plenty of templates and almost everything is as simple as drag and drop so people can create professional looking sites on a very low budget. There are even free versions that are hosted on a sub-domain of the site builder. A good list of website builders and their pros and cons you can find here. These are the most significant web design trends that we predict for the coming year of 2018. It is quite difficult to specify just a few trends in a field that experiences numerous creative trends every day. We expect that the ideas presented here will outshine all the other trends in the next year. Make sure you incorporate these suggestions in your website design if you wish to get more conversions and generate higher ROI for your business. Wow, incredible blog layout! your Blog is discuss a complete web Designing trends. you made blogging glance easy. keep it up!